Our LOST AND FOUND solo show in September 2016 featured collages by Melissa A. Richard. Our ceramic installation with Ethan Hamby in August incorporated sound as well as functional pieces. Enjoy sizzling summer photographs in July 2016. This image kindly provided by Constance Festo Lafond. A Cubist Chick Ate My Baby in June 2016. Read varied texts at 26, our group show in May 2016. Earthly delights abound in this group show of landscapes in April 2016. There was nothing two faced about our group show of portraits in March 2016. Cuddy the Photoshop master and other artists were in RESOLUTION. This painting was in our December 2015 group show. Just one of the ornaments you can find at Zephyr Gallery. This photograph and more was in our November 2015 group show. One of three paintings by Glenn French in our October 2015 group show. September 2015, L to R: wearable art by Delia R. Faria, painting by Jon Sarkin, and photograph by Jeff Dykes. September 2015 grand opening celebrants spill out onto Turner Street. We will feature collages by Melissa A. Richard from September 2 through September 26, 2016. Melissa hails from southern NH and has graciously agreed to make the trip to Zephyr to supply our walls with her beautiful art. We hosted an opening reception with the artist on September 17. Melissa A. Richard is an Artist-Teacher from Southern NH with degrees from the University of New Hampshire and Boston University in Studio Art and Art Education. Since the early 2000’s Melissa has worked primarily in Collage/Mixed Media and Painting, and also dabbles in Digital Photography (often included in her collage work). After her first solo exhibition in 2006, Melissa has gone on to show her work in a number of exhibitions around the country. Most recently, Melissa’s work “One More Night” was part of the Winter Wonders exhibition at ArcWorks in Peabody, MA in February 2016. A recent painting of hers also graced the cover of Indie Rock band NEMES’ new live studio album, released in April 2016. Teaching is a large part of Melissa’s identity as an artist. There is a symbiotic relationship that exists between her art and her teaching. Childhood and Memories are common themes that run through much of Melissa’s work. In September at CinemaSalem we showcased the illustration of photoshop master Cuddy. His illustrations drew on his children's books Track Cats and featured local faves in the background. We showcased a ceramic installation by Ethan Hamby created specifically for Zephyr Gallery and incorporating sound. His functional ceramic pieces were also shown. An opening reception with the artist was held Saturday, August 6. The exhibit dates for this immersive environment were August 5 through August 29, 2016. Fallen brown leaves absorbed last night’s rain. Fermenting aromas mingle in the mist. The pine trees feel thick and forbidding. Yet earth–transforming musk invites me to enter this liminal space between field and forest. The wind changes direction and I look beyond sight (I listen). I crouch under timbers and climb moss-pocked boulders to cross over into the wild space of interior. I reach down between the crack of an oak trunk and the split seam of soil and find a form of living consciousness mysteriously birthed from layers of decay. Beyond plant or animal, I discover a kingdom far from ordinary human life. As a young child, I entered the woods and never left. At thirty, my arms are deep in spinning clay—exploring memory and imagination—more curious with every gesture. I forage for sounds and forms within the land and myself: digging, making art, listening to my inner earth. This sizzling show features summer photographs by Jeff Dykes, Constance Festo Lafond, Peter Grimshaw, Christine Michelini, Katherine Richmond, and Ray Wengenroth. An opening reception with the artists will be held on Saturday, July 16 from 5.30 to 7.30 pm. The show will be open from July 8 through August 1, 2016. Thanks a zillion to Wendy Killeen at The Boston Globe for calling out our July show and including the image of "Beach Dance" by Constance Festo Lafond in the print version. Read the July 17, 2016 article. 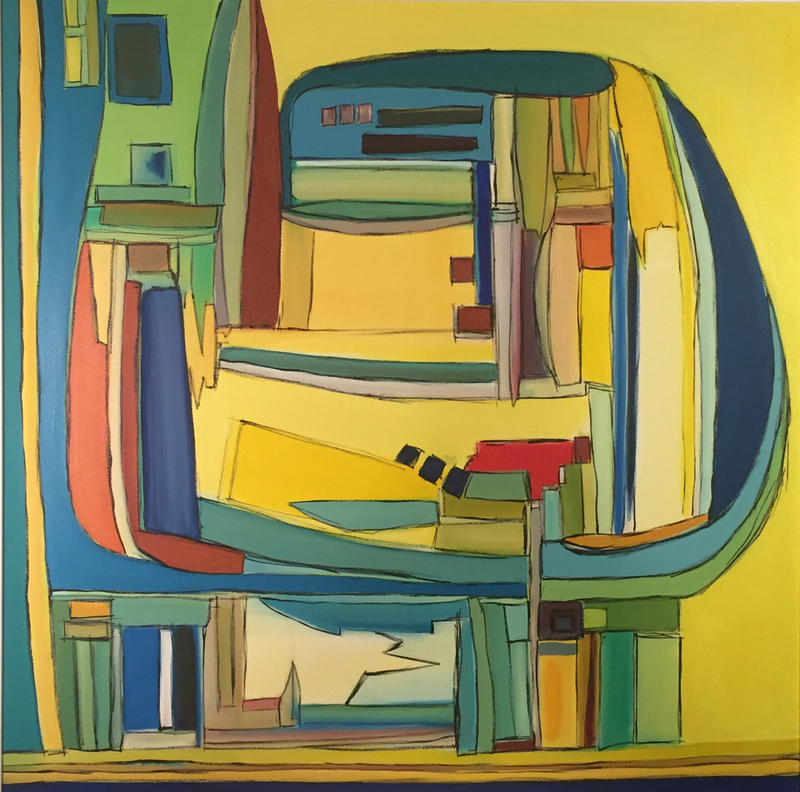 A CUBIST CHICK ATE MY BABY was our first solo show and featured paintings from the prolific Patrick O'Donnell.We had his vivid work from June 3 through July 4, 2016 with a ponderous opening on June 11. We had an entertaining artist talk on June 25, hearing more about his ideas behind “A Cubist Chick Ate My Baby” and discovering what makes this self-taught artist tick. We were thrilled to see the May/June 2016 issue of artscope Magazine featuring Patrick’s ‘Robot Turkey’ painting on the cover. Thanks a zillion to artscope’s team: publisher Kaveh Mojtabai, managing editor Brian Goslow, and writer Molly Hamill, for bringing well deserved attention to this Beverly artist. A shout out to Jeff Dykes for kindly photographing Patrick’s colorful paintings for the article. Read the story here. We read texts in a brand new way with 26, our show of text based artworks featuring 26 artists. The show was here May 6 - 30, 2016 and the opening reception was Friday, May 13. The 26 artists: Dan Browne, George Courage, Cuddy, Rebecca DeVries, Jeff Dykes, Delia R. Faria, Constance Festo Lafond, Richard Flynn, Lisa Galperin, Peter Grimshaw, Adam Harmon, Barbara Pero Kampas, Bill Kelley, Tara Kossman, My-Linh Kotre, Hilary Emerson Lay, elise mankes, Christine Michelini, Heidi Milman, Patrick O’Donnell, Ken Riaf, Melissa A. Richard, Dino Rowan, Jon Sarkin, Pamela Schmidt, and Ray Wengenroth. Treat your mother with a little something from one of these artists: Sara Ashodian, Beads by Beardslee, Laurie Bellin, james bird, Cappuccio Photography, Tommy Gagnon, Ziggy Hartfelder, Wendy Howard, Leetie Lovendale, Mill 77, Vicki Ryer, Tyson Schroeder, Mary Taddie, and Jack Walsh. This group show of landscapes honored Mother Earth from April 1 through May 2, 2016. We stood firm at our opening on April 8. Capturing the view beyond our walls: Jeff Dykes, Delia R. Faria, Constance Festo Lafond, Glenn French, Peter Grimshaw, My-Linh Kotre, Elynn Kröger, Christine Michelini, Roderick O’Flaherty, Katherine Richmond, Jon Sarkin, Ray Wengenroth, and Katie Wilson. Celebrate Earth Day with gifties from these artists: Sara Ashodian, Beads by Beardslee, Laurie Bellin, james bird, Dan Browne, Cappuccio Photography, Cuddy, East India Silk Company, Tommy Gagnon, Lisa Galperin, Ziggy Hartfelder, Wendy Howard, Barbara Pero Kampas, Leetie Lovendale, Mill 77 Trading Company, Cassandra Miller, Patrick O’Donnell, Ken Riaf, Vicki Ryer, Pamela Schmidt, Tyson Schroeder, David Stoffregen, Mary Taddie, and Jack Walsh. Salem Film Fest and its tradition of screening compelling documentaries has inspired us to do a group show featuring portraits. You could see FACE TO FACE from March 4 through March 28, 2016. We got face to face with the artists at our opening on Saturday, March 12. There is nothing two faced about these artists: Sara Ashodian, Beads by Beardslee, Laurie Bellin, james bird, Peter Brefini, Dan Browne, Cappuccio Photography, George Courage, Jeff Dykes, Dave Earley, East India Silk Company, Delia R. Faria, Constance Festo Lafond, Glenn French, Tommy Gagnon, Lisa Galperin, Peter Grimshaw, The Hammer, Ziggy Hartfelder, Wendy Howard, Barbara Pero Kampas, Bill Kelley, My-Linh Kotre, Leetie Lovendale, Elise Mankes, Christine Michelini, Mill 77 Trading Company, Patrick O’Donnell, Ken Riaf, Dino Rowan, Vicki Ryer, Pamela Schmidt, Tyson Schroeder, David Stoffregen, Mary Taddie, Jack Walsh, Ray Wengenroth, and Katie Wilson. RESOLUTION is a group show featuring photo-based art created in the last year. 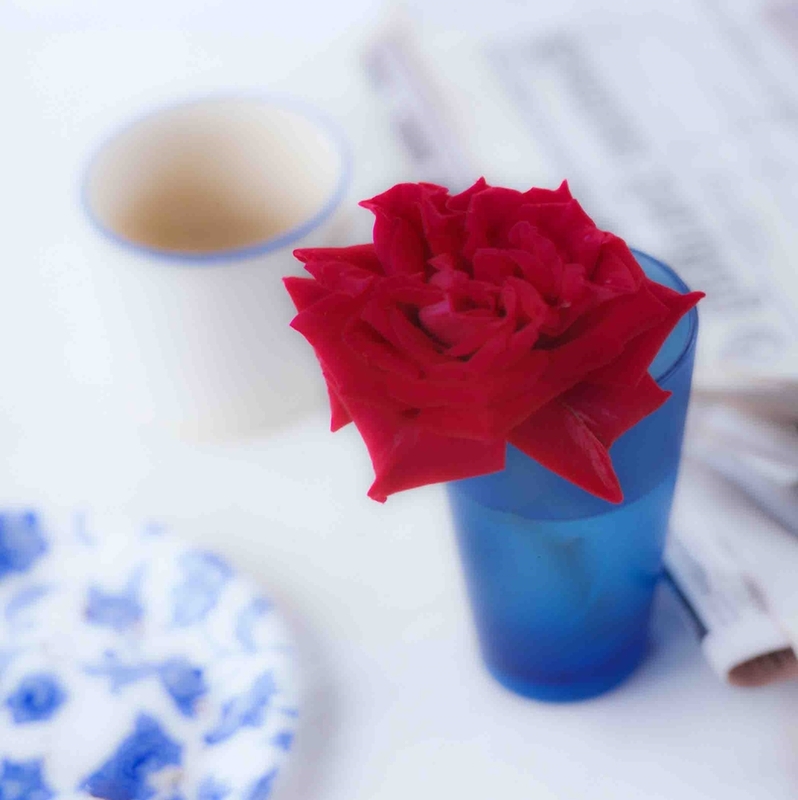 Works include photography, collage, mixed media, painting, and photography. Show dates were January 15 through February 29, 2016; our opening was Friday, January 29. We were determined to get these artists on our walls: james bird, Dan Browne, Cuddy, Jeff Dykes, Constance Festo Lafond, Glenn French, Lisa Galperin, Peter Grimshaw, Bill Kelley, My-Linh Kotre, Elise Mankes, Christine Michelini, Patrick O’Donnell, Ken Riaf, Vicki Ryer, Jack Walsh, and Ray Wengenroth. Gifties were available from these artists: Sara Ashodian, Beads by Beardslee, Laurie Bellin, Cappuccio Photography, East India Silk Company, Delia R. Faria, Tommy Gagnon, Brenda Hallinan, Ziggy Hartfelder, Wendy Howard, Barbara Pero Kampas, Leetie Lovendale, Ken McTague, Mill 77 Trading Company, Cassandra Miller, Pamela Schmidt, Tyson Schroeder, David Stoffregen, and Mary Taddie. The majestic architecture, the friendly downtown, and the striking waterfront combine to make Salem, MA, a beautiful place to live, work, and play. HOME FOR THE HOLIDAYS will showcase both past and present scenes of Salem. It is a gift to have these artists on our walls this month: John Andrews, photography; Sara Ashodian, ceramics; Beads by Beardslee, jewelry; Laurie Bellin, jewelry; james bird, photography; James Bostick, photography; Arlene Browne, dolls; Dan Browne, sculpture; Cappuccio Photography, note cards; George Courage, painting; Paul S. Cultrera, Sr., painting; Jeff Dykes, photography; Glenn French, painting; East India Silk Company, scarves; Delia R. Faria, jewelry; Constance Festo Lafond, calendar and note cards; Lisa Galperin, collage; Wendy Howard, home décor; Bill Kelley, photography; Leetie Lovendale, jewelry; Christine Michelini, photography; Mill 77 Trading Company, furniture; Pat O’Donnell, painting; Roderick O’Flaherty, painting; Ken Riaf, assemblage; Vicki Ryer, photography; David Stoffregen, home décor; Mary Taddie, jewelry; and Ray Wengenroth, pastel. Much merriment was had at our opening on December 5; the show closed December 24, 2015. 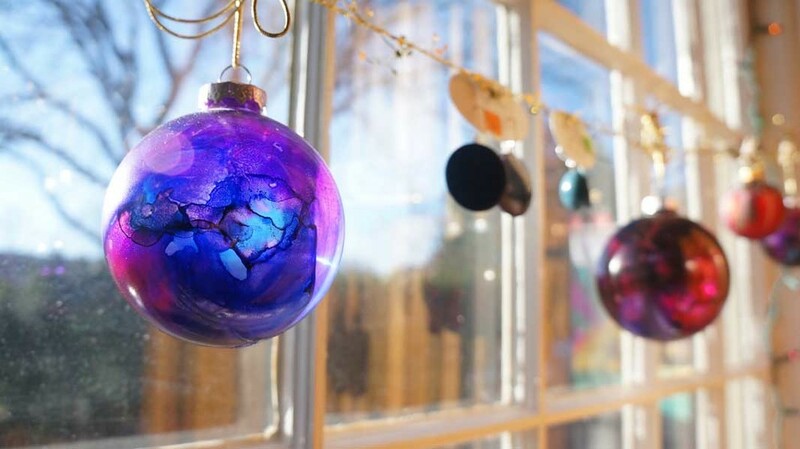 We had a curated selection of diverse holiday ornaments made by local artists special for the holidays. Artists included: beaded snowflakes from Beads by Beardslee, turned wood ornaments from Tommy Gagnon, crocheted ornaments from Brenda Hallinan, pieced sachets with balsam fir from Barbara Pero Kampas, hand painted glass ornaments from Ken McTague, hand cut paper snowflakes from Cassandra Miller, and dyed glass globes from Pamela Schmidt. For many, Thanksgiving Day and its immediate follower Black Friday, have become days of consumption. Too much pie, tons of shopping, and plenty of family drama. GIVING THANKS honors those quiet moments of gratitude, the little things that mean a lot. We are grateful these artists agreed to participate: Sara Ashodian, Laurie Bellin, james bird, Arlene Browne, Dan Browne, Cappuccio Photography, Jeff Dykes, East India Silk Company, Delia R. Faria, Constance Festo Lafond, Lisa Galperin, Ziggy Hartfelder, Wendy Howard, Elynn Kröger, Leetie Lovendale, Mill 77 Trading Company, Pat O’Donnell, Katherine Richmond, Vicki Ryer, David Stoffregen, and Mary Ana Taddie. Our opening was Friday, November 6, and the show closed November 30, 2015. In Salem MA we cannot deny the pull of Halloween. We are ruled by it like the tides are with the moon. And that is what you will find on the walls—tiny suggestions of the spooky and the silly. Salem is a place where the quirky is not discouraged. The misty moonlit evenings you might experience walking around Salem in October is the impetus for this show. These artists have created magic featuring the beautiful colors of autumn and the moody shades of grey nights. You will find ghostly images, wry humor, and a touch of the strange. Things are just a little off. What a treat to have these artists adorn our walls: Sara Ashodian, james bird, Dan Browne, Jeff Dykes, East India Silk Company, Delia R. Faria, Glenn French, Lisa Galperin, Wendy Howard, Bill Kelley, Leetie Lovendale, Elise Mankes, Mill 77 Trading Company, Pat O’Donnell, Ken Riaf, Vicki Ryer, Jon Sarkin, Tyson Schroeder, and David Stoffregen. An opening was held Friday, October 2, 2015. COMES WITH THE FALL closed November 2, 2015. The following was the wall text for the show. Art shows are typically arranged around a theme or a chronology. This one is a bit of both. WIND UP brings together a variety of artists representing diverse medium under the auspices of artistic interpretations of wind or air. Wind, here pronounced like the noun defined as a gentle breeze, is concerned with air, clouds, breezes, turbulence, and hurricanes. But WIND UP, pronounced like the verb in the phrase “wind up”, as a matter of beginning, or getting ready to begin, is about marking the grand opening and inaugural show for Zephyr Gallery. An exciting endeavor if ever there was one. The walls at Zephyr are filled thanks to a dedicated team of people near and dear to my heart. From the beautiful space created by Ray Wengenroth…to the gorgeous walls so expertly painted by Pat O’Donnell…to cheerleaders too plentiful to name…to the supremely talented and editing eye of the unwavering Joe Cultrera…and to the fabulous art thanks to the superstar artists willing to take this ride with me: Christine Michelini, Dan Browne, David Stoffregen, Delia R. Faria, East India Silk Company, Elizabeth Fox, james bird, Jeff Dykes, Jon Sarkin, Mill 77 Trading Company, Pat O’Donnell, Vicki Ryer, and Wendy Howard. We would like to express our deepest appreciation to our artists, to our ardent supporters, and to our visitors and patrons for making it all possible. Wind up, wind up, at Zephyr Gallery. Where something is in the air and we are just getting started. Our grand opening was Saturday, September 12, 2015. Thank you to all that attended in person and in spirit. WIND UP was on view through September 28, 2015. FRAGILE (HANDLE WITH CARE) collage copyright Melissa A. Richard. 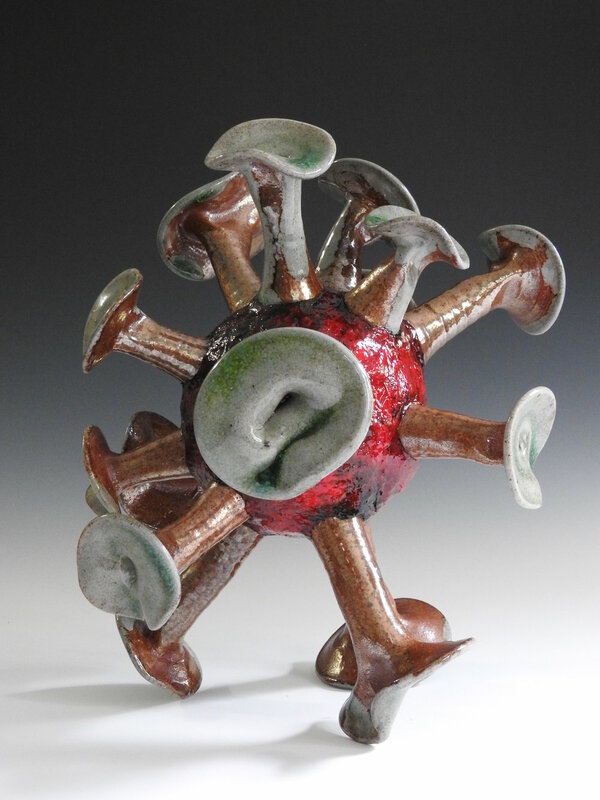 ATOM's EAR stoneware object copyright Ethan Hamby. BEACH DANCE photograph copyright Constance Festo Lafond. 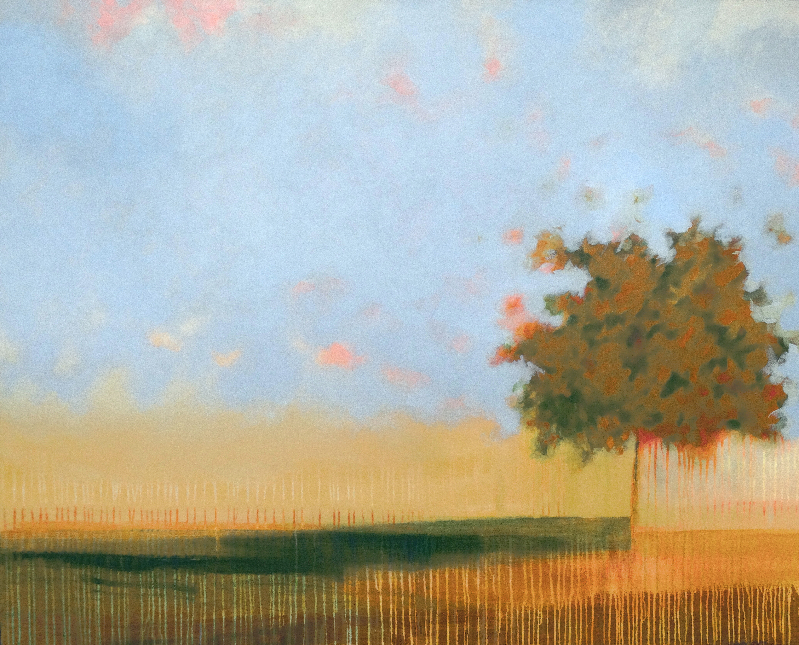 UNTITLED painting copyright Patrick O’Donnell, photographed by Jeff Dykes. LOWELL LOGS quilt copyright Barbara Pero Kampas, photographed by Jeff Dykes. FALL painting copyright Elynn Kröger. BEADS photograph copyright My-Linh Kotre. ELEPHANT print copyright Cuddy. 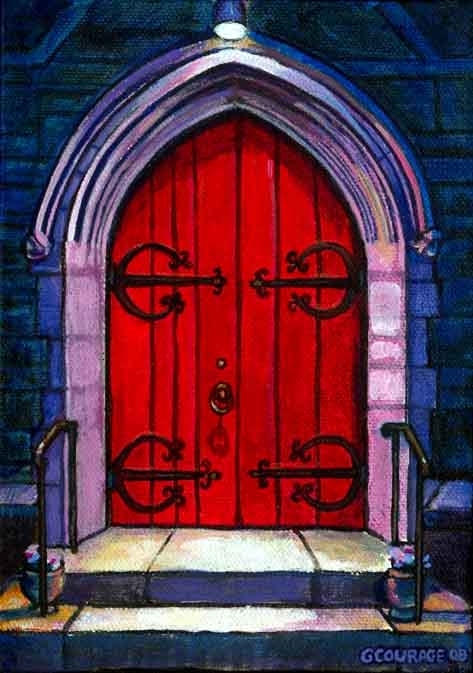 DOORWAY: CLOSED painting copyright George Courage. Holiday ornament photograph copyright Joe Cultrera. MOTHERS' DAY photograph copyright Jeff Dykes. FULL MOON painting copyright Glenn French. COMES WITH THE FALL and WIND UP overview gallery photographs copyright Jeff Dykes. Grand opening crowd photograph copyright Joe Cultrera. All rights reserved.